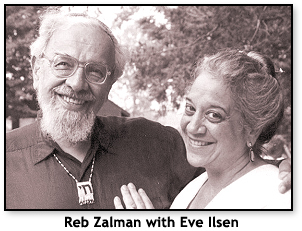 Ask Rabbi Zalman Schachter-Shalomi about the path he has taken through seventy-seven years of a complex, active life, and he will stop you and change the verb: “No, the path I was led on.” At one level, the phrase expresses the deep piety of a rabbi who seeks God within a great mystical stream, a rabbi trained in the exacting traditions of the Brooklyn-based Lubavitcher Hasidim. It also expresses the courage and broad-mindedness of a religious leader who has opened himself again and again to other classical spiritual traditions from Catholicism to Buddhism, and to psychology; bodywork, feminism, environmentalism, and much else in the great mix of social, personal, and planetary change that came out of the 1960s. Schachter-Shalomi has become the great sage of a worldwide movement of Jewish renewal by virtue of his keen understanding of where his own tradition can connect with the psycho-eco-spiritual revolutions of our millennial age. 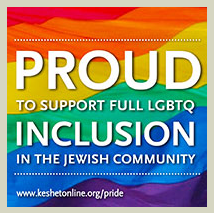 As the founder of the P’nai Or (Children of Light) religious fellowship and the rabbinic chair of ALEPH: Alliance for Jewish Renewal, Schachter-Shalomi has inspired and guided a movement for an observant, deeply traditional Judaism that is at the same time warm, experientially based, gender-equal, environmentally aware (thanks to the Schachter-Shalomi-coined concept of “eco-kosher”), nonhierarchical, and grounded in renewed liturgy. But what “the path I was led on” means to Reb Zalman himself is more personal. It begins with getting out of Europe just before the Holocaust. Born Zalman Schachter in 1924 in Poland, the rabbi-to-be soon moved with his family to Vienna, where he attended both a traditional yeshiva and a socialist-Zionist high school. When the Nazis threatened, the Schachters went to Antwerp; when Belgium came under German attack, the family began an odyssey. Detained in a camp in Vichy France, they escaped to Africa, then to the West Indies, and finally to NewYork in 1941. “Having been saved from the Holocaust. . . I felt something was needed from me to give back,” he recalled. “I saw what was happening to our tradition, that it was being diminished. That the best and most advanced of our people had been decimated. So I was moved to think about creating a Noah’s Ark for our tradition.” In other words, he was looking for forces within Judaism that would re-energize it and make it self-confident again. Having been excited by the intense mystical piety of the Lubavitcher movement, Schachter (he would add Shalomi to his name in the 1970s) attended the central Lubavitcher yeshiva in Brooklyn, where he took rabbinic ordination in 1947. Stints of teaching and serving as a congregational rabbi at Lubavitch synagogues in Connecticut and Massachusetts followed. Already Schachter was showing signs of an iconoclastic temperament. In his congregations, he allowed women to take part more fully in worship and introduced guitars into the liturgy. He also entered a graduate program in the psychology of religion at Boston University, where he enrolled in a class in spiritual disciplines and resources taught by the great African American theologian and social activist Howard Thurman. Uncertain how he would fit into a Methodist-run university and a class taught by a Protestant pastor, the rabbi expressed his anxieties to Thurman. When he joined the Near Eastern and Judaic studies department of the University of Manitoba in Winnipeg in 1956, Schachter was still looking for ways to restore Jewish traditions, not change or renew them. The Jewish Essene monastic tradition revealed by the Dead Sea Scrolls, the vigorous spirituality of the Hasidim, and the treasures of Kabbalistic mysticism were pre-Holocaust resources that could give Jews hope and energy after the great European disaster. These were among the first stirrings of the Jewish Renewal movement, an effort to re-energize Jewish piety by making it more emotionally satisfying, inclusive, experimental, experiential, and compelling. For Jews who were alienated from the sometimes tepid rationalism of the Reform movement and the stern ritualism of the more traditional denominations, the brilliant neo-Hasidic writings of Martin Buber and Abraham Joshua Heschel were a call to embrace the living fire of a slightly different traditionalism—the great tradition of ecstatic union with God carried by the Hasidic mystics. At the same time it was a call to link themselves to the world of the moment, its pains, possibilities, and lessons, its psychospiritual breakthroughs and political changes. Schachter-Shalomi’s teaching begins with an emphasis on experience over doctrine, the felt yearning for God over abstract ideas about the Deity. There’s also a powerful orientation toward the future in his idea of faith. “Faith is tossing out into the future an anticipation for which I don’t have proof,” he says. “But I feel attracted in a direction and when I follow this direction it is faith that pulls me there.” He sees God not as a stern old man living “up there,” but as a force both outside and inside us that draws us to Himself (or Herself).